for $189,900 with 3 bedrooms and 2 full baths, 1 half bath. This home was built in 1978. This house is MOVE IN READY! !This beautiful trilevel home in the Huntington Park Subdivision has 3 bdrms, 2.5 baths, formal dining & living rooms, family room w/ brick fireplace;eat in kitchen w/a pantry, foyer, & gutters.Extended driveway, moisture barrier in crawlspace with full encapsulation, & its own privacy fenced yard. Seller: "What I love about the home" Location. 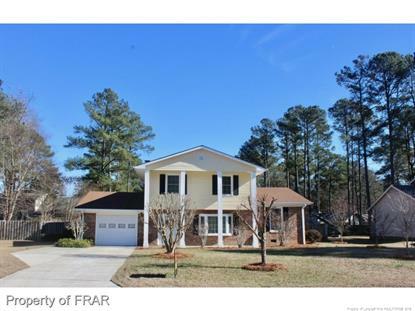 Close to Cross Creek Mall, Terry Sanford School District, Hospital and Dr. offices. New HVAC, just painted, laminate wood floors throughout, remodeled kitchen with added cabinets and new floor, new stove and dishwasher, new windows, remodeled bathrooms with new floor and so much, much more. Also, relaxing outside on the newly railed terrace that invites you to spend hours with family and friends enjoying the trees and the beautiful flowers in its well manicured backyard!